Ada pertanyaan untuk Brady Hotels Central Melbourne? 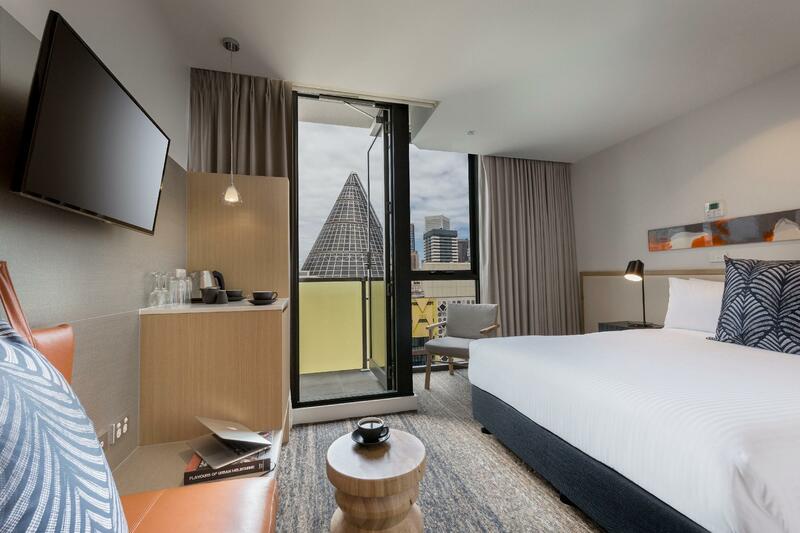 Terletak strategis di Melbourne CBD, Brady Hotels Central Melbourne adalah tempat ideal untuk memulai menjelajahi Melbourne. Dengan lokasinya yang hanya 0.7 km dari pusat kota dan 21.5 km dari bandara, hotel bintang 4.5 ini menarik perhatian banyak wisatawan setiap tahun. Dengan lokasinya yang strategis, hotel ini menawarkan akses mudah ke destinasi yang wajib dikunjungi di kota ini. Fasilitas dan pelayanan yang ditawarkan oleh Brady Hotels Central Melbourne menjaminkan pengalaman menginap yang menyenangkan bagi para tamu. Untuk kenyamanan para tamu, hotel ini menawarkan layanan kamar 24 jam, WiFi gratis di semua kamar, layanan kebersihan harian, akses mudah untuk kursi roda, resepsionis 24 jam. 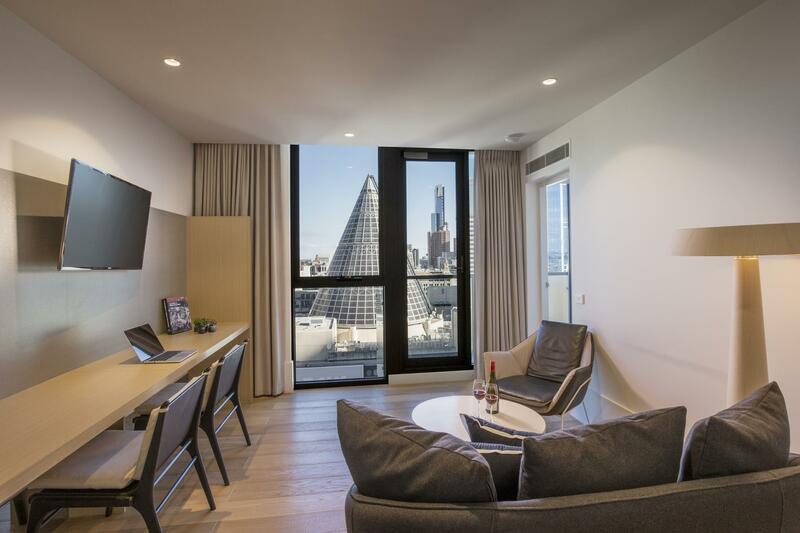 Brady Hotels Central Melbourne memiliki 146 kamar tidur yang semuanya dirancang dengan citarasa tinggi. Banyak diantaranya memberikan kenyamanan seperti televisi layar datar, kamar mandi tambahan, lantai karpet, produk pembersih, kopi instan gratis. Baik Anda yang menyenangi kebugaran atau hanya ingin bersantai setelah beraktivitas sepanjang hari, Anda akan dihibur dengan fasilitas rekreasi kelas atas seperti pusat kebugaran. 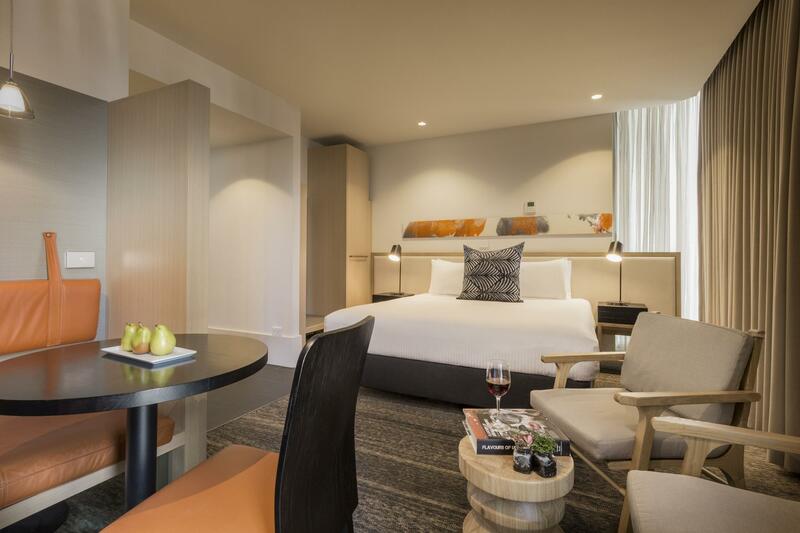 Brady Hotels Central Melbourne adalah tempat menginap ideal bagi para wisatawan yang mencari pesona dan kenyamanan dari Melbourne. 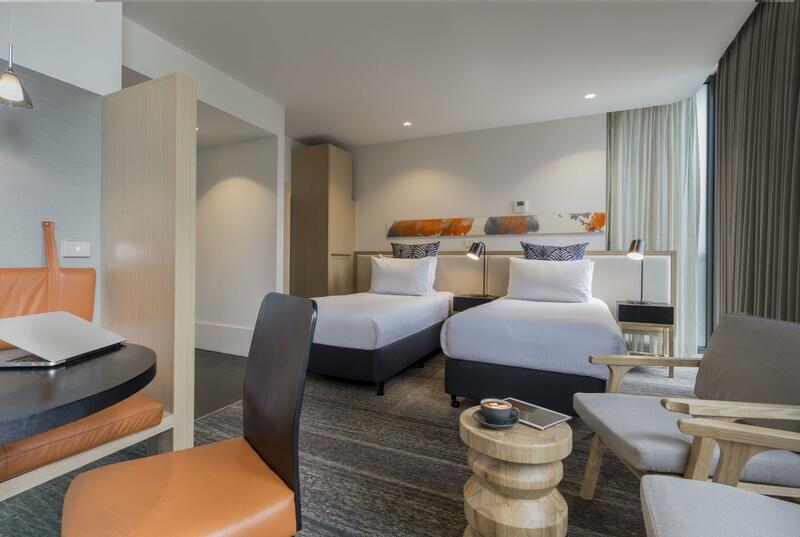 Bagi tamu yang memerlukan tempat parkir, hotel memiliki relasi dengan Wilsons Parking di 300 La Trobe Street Melbourne. Harga yang telah didiskon berlaku setiap hari atau setiap keluar. Silakan menghubungi hotel secara langsung untuk informasi lebih lanjut tentang tempat parkir dan biaya. Tamu wajib menunjukkan identitas berfoto yang valid serta kartu kredit untuk kejadian tidak terduga selama menginap. Semua biaya harus dibayarkan dengan kartu kredit atau debit. Properti ini tidak menerima uang tunai. Lokasi yang strategis di keramaian tempat makan dan belanja. Fasilitas kamar yang bagus. Pro - Great location, value for money, rooms modern & relatively cheap. Cons - Shocked when I was informed upon check-in that there's no wifi (top up AUD10). - Construction across the road, I couldn't open my curtains at all. I was at the floor where workers could also look directly into my room. - 10am checkout? I thought hotels have 12pm check out. Budget hotel, definitely. Min service. 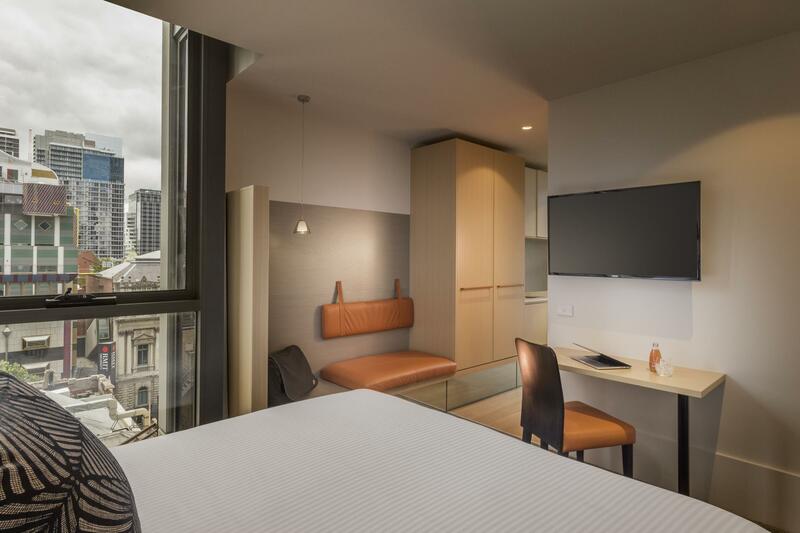 Brady Hotels was in a great location within the Melbourne CBD. Being near Melbourne Central, PTV Trams, Queen Victoria Markets, State Library of Victoria, RMIT and many many more, I was happy that I chose a hotel that was near the hotspots! The staff was really helpful and friendly. They were able to hold back our baggage after we check out. The main problem is that there are 2 construction sites (one being the Metro Line and another a tower complex) in front and nearby the hotel (in front of my room). The construction starts around 7am and usually I get awoken by this (and was actually able to go back to sleep afterward), however, there is nothing much I can do and not the hotel's fault. Another is a charge for Internet usage (1GB for $10), which was not included in my room nor did I pay the $10. It's 2019, and this should be at most complimentary for all. Another is the early 10am checkout. Most others are at 11am, but this is fine with us. This is my fourth stay of this hotel and still love it! Great location, friendly and prompt service, room is clean and the bed is very comfortable. The only thing that I have to say is the design of bath room-- The sink is too low and too small, also the tap cannot be turned, which makes it hard to brush teeth and wash face at the sink. Shower is okay (good water pressure and constant hot water supply) but wish the tap is closer to the showerhead and the shelve for shampoo etc is lower. Got the couple room on 14th floor. Size is small but adequate, with ironing facilities and a fridge, plus a small balcony if you need some outside air. Staff is friendly and gave a quick guide on where to go during check-in. Short walking distance to Queen Victoria Market, restaurants at Chinatown etc. For those who drive, you can park at CBDpark along Franklin Street just 5minute walk away. The carpark is safe and relatively cheaper than others. There's a Woolworths supermarket and KFC just beside the hotel as well. I stayed in 2 bedrooms suite, rooms are spacious. Location is very strategic, 5 mins walk to Chinatown, Federation Square, Flinders Street are within walking distance. Metro supermarket and kfc are located in the corner of the block. Highly recommended. We will be back again! very close to Melbourne central station and free tram zone, nice location! we got a FREE upgrade for our room, and it was very clean and comfortable! thanks a lot to staff! most important thing： WIFI is good and stable. amazing! I stayed only one night there. It's so close to Victoria Market and other shopping district. Even though it's located the heart of CBD, not noisy at all. I could sleep. Just aircon wasn't working well sometimes. it's pretty much centralised, so not much control you can do even you feel a bit cold. Everything was good but the hotel should offer wifi when buying through a third party like Agoda. What hotel doesn't offer wifi these days? I stayed in a 2 bedroom apartment with friends over New Year’s Eve. We all loved the apartment, especially the view. The rooms are very modern and well looked after. Staff were also friendly and helpful. Will be booking this hotel again, next time I visit Melbourne. Thank you for one lady named Morgan who kindly assist me when I had difficulties with my mobile phone charger! I totally reccommend this place for everyone who will go to Melbourne. The location is very central, the staff is great, and value for money also! Everyone should stay in Brady! The location is very good Close to everything. There’s a convinient store at the corner of elizabeth street. The breakfast and coffee is superb. Strongly recommend to purchase a room with breakfast. Great hotel but location a bit distance from tram route (separated by some buildings - you have to take a walk around those at small road - but not that far). Parking very difficult in front of the hotel for baggage unloading/loading. If you drive by your own, park somewhere else. But overall not bad. We seem to gravitate to this place when we come to Melbourne. Love the location. Love the rooms. Love the amenities. Love the shampoos and conditioners! (Haha). Will stay here every time we come to Melbourne if we can. The duvet was a bit dirty. I asked the staff to change it. They changed it quickly. Good location in Melbourne CBD. Quiet at night. Excellent bathroom equipment. Small Gym only has treadmill and stepper.